I read it while substitute teaching and enjoyed it, but at that time I wasn't searching out authors and reading their books. Then Carly Watters, a literary agent at an SCBWI Workshop, recommended we read some authors for how to write multiple points of view (POV). So I checked out Flora and Ulysses and The Tale of Despereaux from the digital library. I read Flora and Ulysses first and then Despereaux, and loved them both. 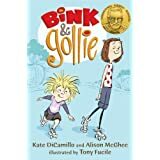 In Flora and Ulysses, Kate DiCamillo uses a hybrid format, adding in some graphic, comic book type scenes by K.G. Campbell, because Flora is enamored with a comic book superhero, "Incandesto." The story is told from both Ulysses and Flora's perspectives. That's the beauty of using multiple POVs—you can get into more than one character's "head" and see their thoughts and feelings more clearly. 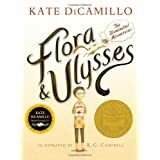 I loved Flora and Ulysses simple for its laugh out loud humor and great good fun. There is the pain and trials of normal day-to-day life. And there are wonderful uplifting scenes that satisfy our human need for love and hope and cheering up. But what was totally captivating was her deft use of humor to lighten parts of the story that hurt and to see the world in its craziness as a world of possibility, love, and rightness. 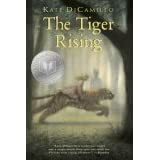 This is a great middle grade read that is enjoyable and satisfying. Then on to The Tale of Despereaux. 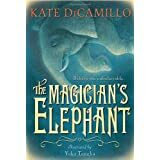 This one I thought I wouldn't care as much for since it's about a mouse and a princess, but it's done with sweetness and humor. It harkens back to days of "Once upon a time. . ." and "Happily ever after," and who can resist. 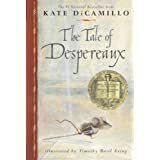 The main character is Despereaux, a tiny mouse who is destined for greatness because of his pure heart and strength of character. That is what is so appealing about both of these character-driven stories—they speak to the heart, to goodness, our hopes and dreams, and to simplicity. Our modern day world is too complicated, too incomprehensible, too dangerous, and overwhelming at times. 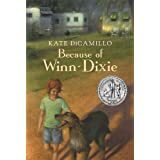 Kate DiCamillo's books give us an escape from where we live, to another world where there is goodness, sometimes greatness, but always hope. I highly recommend both books. 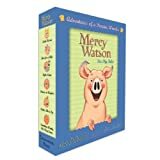 She also has the Mercy Watson Series and Bink and Gollie, both for ages 6-9. 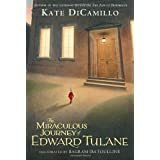 Tags: Kate DiCamillo books, middle grade, POV, children's books, Flora and Ulysses, The Tale of Despereaux.